All Sweet homes currently listed for sale in Sweet as of 04/25/2019 are shown below. You can change the search criteria at any time by pressing the 'Change Search' button below. If you have any questions or you would like more information about any Sweet homes for sale or other Sweet real estate, please contact us and one of our knowledgeable Sweet REALTORS® would be pleased to assist you. 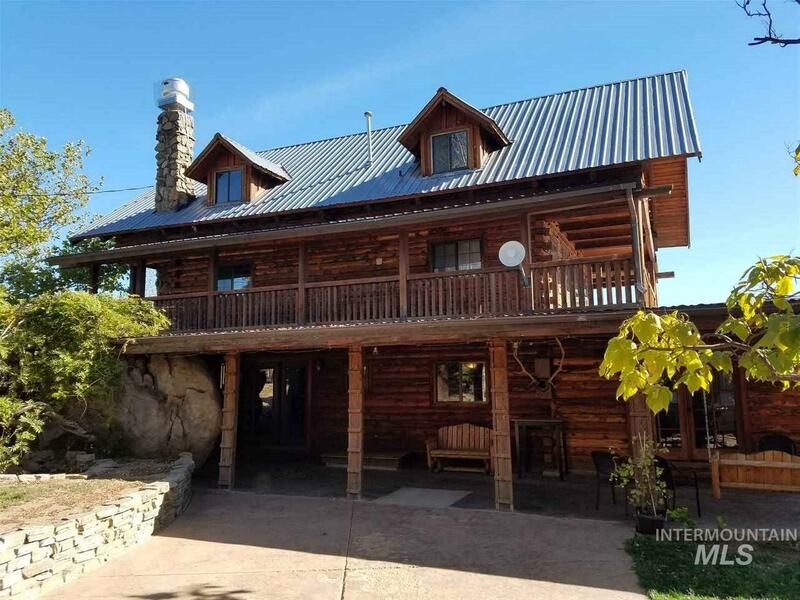 "35 acre Elk Ridge Ranch, spectacular views, 2 rustic log homes connected by court yard. A 4 story main residence with approx 6066 sq ft & a 2 story guest house with approx 2086 sq ft located on a County maintained road 3.2 miles from the Sweet Post Office. This private yet convenient retreat has large gathering rooms, 8 bedrooms, 6.5 bathrooms & a huge kitchen & dining area ideal for family reunions & group events. Each floor has a wood deck for your viewing pleasure. It also has a huge 2400"
"Peace and serenity nestled at the base of the mountains in the charming town of Sweet, Idaho. Bring your horses and your cattle to this fully functional 104+ acre ranch. Gourmet kitchen features, granite, hardwood floor and 2 ovens. Master suite features Jacuzzi tub, walk-in closet, dual-vanity and bidet. Mud room with shower, utility sink, extra storage and central vac. Basement has large living space, sun room, and storage room. 2 hay barns, 30x60 shop, butcher shop, tack room, riding arena, h"
"Your own private Idaho! Adorable single level home with a charming front porch with a big view of Squaw Butte. Laminate wood floors, open Spacious floor plan, Black Stainless steel appliances and a window at the kitchen sink, 3 bedroom, 2 baths with master suite. Laundry room with access to oversized garage. Plenty of room for your animals or build your dream shop. Irrigated land."